“…. a very big thank you for the amazing work you have done. The footage you have captured is spectacular…. We have just finished watching our wedding DVD and would like to say a very big thank you for the amazing work you have done. From the outset we have found you very easy to work with and glad we chose you to film our special day. The footage you have captured is spectacular and something we can watch over and over again and cherish for the rest of our lives. We especially love how you have tailored the music we chose to fit in our film, it complements it perfectly. Once again, thank you very much for your efforts and hard work. We would certainly recommend Diamond Lights to others. We wish you and Diamond Lights all the very best and hope to see you again in the future. We cannot put into words how amazing our wedding video is. You have captured every single moment from the explosive Church service to our beautiful venue, the emotional speeches, the bouquet fight, the brilliant guest messages and our fun first dance. You didn’t miss a thing. From start to finish our wedding DVD is overwhelmingly perfect. Watching our special day back was incredibly magical and we can’t thank you enough. We laughed and we cried throughout our film, as we did on the day. The thoughtful touches you added made it so very special to us. From our first meeting to our wedding day you showed your professionalism and excellent organisation skills which made everything stress free and so much more easier. The music you chose suited each segment of our film, we couldn’t be happier. Your hilarious sense of humour made the whole process enjoyable. Our guests thought you were a family friend as you were really friendly and fit in so well on the day. They also said how at ease they felt with you, there were no awkward moments. You were making them laugh. Chris and I agree, we felt it was all very natural. The guest messages are a must, they are absolutely brilliant! We would like to say a huge thank you for capturing our magical day. VALE ROYAL ABBEY, NORTHWICH. CHESHIRE. “…. You have captured the day perfectly…and the quality together with the editing of the film is fantastic! Just a note to say thank you so much for our wedding DVD and for all your hard work both editing the film and on the day itself! You have captured the day perfectly and we are so pleased to have such a lovely memento of the day, which we can watch in the years to come! The small details of the day were captured perfectly in the DVD and the quality together with the editing of the film is fantastic! We are certainly going to recommend you to our friends and family and it has been lovely to meet you! Thank you so much for are amazing wedding video! You have captured every moment beautifully with not only us but are guests too. Watching the film was like reliving it all over again. We got to see bits of the day that we missed out on, we couldn’t be happier with it! The music is perfect for each stage of the day and the images of the venue with all the flowers and the picture of Tom’s dad is such a nice touch. Thanks again, we will highly recommend you to our friends and family. “…. In short, book him, book him, book him !!! 100% booking Diamond Lights was one of, if not the best decision we made when it came to planning our big day. We always knew we wanted a video of our day – if you are debating having a video I can say hand on heart you will NOT regret it. Although people say it’s the best day of your life you don’t realise it until it’s your own, and once it’s over you’ll want to re-live it over and over again. We absolutely love our film it captures the day perfectly, we were worried that a wedding video was going to be too cheesy and full on but the way Barry shoots and edits it means it captures the day perfectly! It’s not just the end result that meant we were so pleased we chose Diamond Lights, on the day itself Barry was invaluable. It’s always hard with suppliers to get the right mix, you don’t want someone too pushy but then at the same time you don’t want someone so laid back the days timings go amiss, Barry has the perfect balance. He was discreet when needed but then stepped in and helped in the running of things. Lots of our guests commented on Barry being there and how he helped ensure the day ran smoothly. Also out of the many suppliers we used in the build-up to our day Barry was the most organised, professional and efficient, and when you are planning a wedding that is so important. In short, book him, book him, book him !!!! “…. Professional Approach shown throughout, DVD absolutely amazing, and shows what kind of a person people are through their work…..
From the first time we booked you, you have given us a professional service and made us both feel very relaxed and have no concerns before our special day. When we first started planning our wedding we wanted to have our special day recorded but there was so many different companies to choose from. You were then recommended to us and we looked at your website and ordered a preview disc. From watching that, we instantly knew we wanted you to record our special day, it showed you put so much effort into what you do and personalise every inch of the DVD. Over the weeks leading up to the wedding you helped us choose songs for our DVD and also came round to our house and gave us some fantastic advice which left us feeling very relaxed and knew what we were going to receive. Throughout the day from the moment we arrived at the church, we didn’t notice you recording us and allowed the day to flow as normal. You made us both laugh, had laughs with our guests and you left us feeling you were a guest at the wedding and part of our family. Once we had received our DVD we were so excited to watch it as the day went so fast. From the moment we started watching it, it showed your professionalism and attention to detail which says a lot about you and your business. You highlighted all the amazing parts of our day and even recorded parts of the day which we didn’t know happened, it allowed us to watch our wedding from a guest’s point of view. To make the DVD even better we had guest messages recorded by our guests, which we would like to recommend to anyone who is booking with you. We would like to thank you ever so much for creating an everlasting memory and keepsake of our special day and would recommend you without question to everyone we know who is planning on getting married. “… I am struggling to put into words how amazing and magical our DVD was, it has exceeded my expectations and I am actually speechless…..
We have just finished watching our wedding DVD and I am struggling to put into words how amazing and magical it really was. It has exceeded my expectation and I am actually speechless! You captured the day so perfectly we are so thrilled with your work. The film is so natural and I would go as far as saying its the best money we spent on the whole day as we get to cherish the film forever. We have booked a night in already for our nearest and dearest to watch the film with us cant wait to show it off! Thank you so much and we will definitely be recommending you to anyone we know getting married in the future. “… anyone thinking about getting a videographer for their wedding don‘t think about it – just get Barry booked….I honestly don’t know how to put into words how grateful we are for a truely amazing video….. I would firstly like to say to anyone thinking about getting a videographer for their wedding don’t think about it just get Barry booked. We nearly missed out having Barry, only that he added few extra dates and I’m so thankful he did. I honestly don’t know how to put into words how grateful we are for a truely amazing video. From meeting him at our house, to him filming our special day, he was so professional yet he just felt like a guest at the wedding. We didn’t even feel like we were being filmed, yet he managed to capture every moment that needed capturing. Myself my husband and my two boys watched the film and all cried (happy tears) and laughed all way through. We have a life long keepsake of our amazing day that we will treasure forever. I don’t think any words will cover how thankful we are for all your hard work. Barry you are such a talented man. HOLIDAY INN HOTEL, ST HELENS. “… From day one you were amazing. Your professionalism and attention to details are second to none. You are every couples dream to deal with – nothing was ever too much trouble for you…. We have tried to write to you for weeks now but we didn’t know where to begin or how to put in to words to thank you for our wedding video. We have written this out so many times but have to start again as we don’t feel like we are doing you any justice. YOU ARE AMAZING!! We knew from day one that we wanted to have our wedding filmed and when you were recommended to us we got a Demonstration Pack. We sat down to watch it and both knew straight away that we wanted you to film our special day, thankfully you had that date available. We only spoke to you about filming our wedding as we didn’t think anyone would be as professional and passionate, or capture our day the way we wanted, as you and we were right! From day one you were amazing. Your professionalism and attention to details are second to none. You were constantly professional throughout, yet really laid back and funny, my husband told me about the brilliant banter he had with you. You were always so helpful, quick to respond, and never complained at the million questions we had. You are every couples dream to deal with – nothing was ever too much trouble for you. Barry, you have a natural gift of making people feel comfortable and relaxed, and considering you are stood there with a tripod and a camera you are actually very good at going unnoticed, we didn’t even notice you at our wedding once the main video shots had been taken. The hours you have put in before, during and after our wedding day just shows how passionate you are about your job. This was shown in the quality of the video. It also showed that you are a professional person who is committed to delivering something extremely special. You’ve captured our day perfectly and we couldn’t have wished for it to be any better. There were so many parts of the day that we didn’t get to see but thanks to you we can relive our special day over and over again. Since we received the video it has been watched probably every other day. Our daughter (2.5 years old) loves seeing herself and the rest of our family and friends. Not only did we get to relive our memories of the day but you have created so many new special moments for us to cherish. Barry, we can’t thank you or recommend you highly enough. If anyone is undecided about filming their wedding then we would say DO IT and pass them your detail straight away. “… I can’t put into words or thank you enough for our amazing wedding DVD….. I can’t put into words or thank you enough for our amazing wedding DVD. Honestly everything we wanted & so much more..
From start to finish I cried (happy tears!) every moment you captured is perfect especially the speeches & certain parts of the day you don’t really take in.. I can’t stop watching it!! So happy you was recommended to us & we can’t recommend you enough in the future!! You have made myself & Rik so happy & memories on the DVD we can always treasure!! “… What can I say. The film is absolutely fantastic. You have captured every single moment so naturally and the way the film is put together is amazing……..
We received our wedding film the other day and watched them straight away. What can I say. The film is absolutely fantastic. You have captured every single moment so naturally and the way the film is put together is amazing. I never thought I would feel such emotion watching the film, but myself and Terry were both in tears one minute and laughing out loud the next. If anyone is wondering whether to get their wedding filmed, I would say do it. Barry – you did a superb job both on the day and with the films. Thank you so much from the bottom of our hearts. We have a special film that we will treasure for the rest of our lives. Thank you so much again. 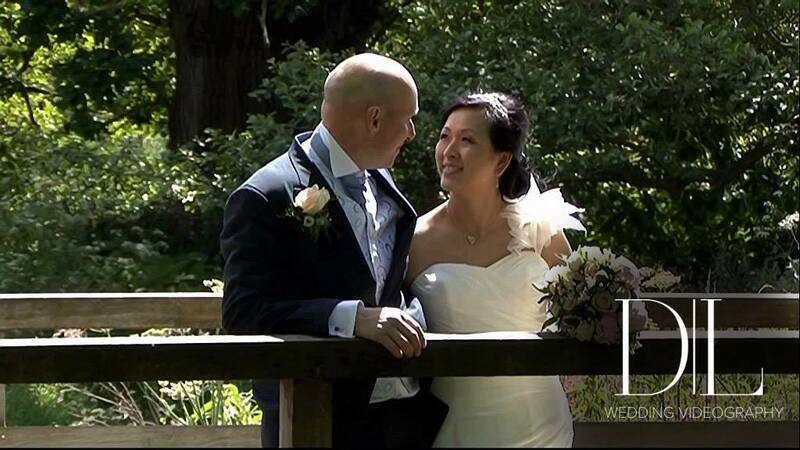 “… a massive thank you from the bottom of our heart, for the most amazing wedding DVD……. Me and Liam would just like to say a massive thank you from the bottom of our heart, for the most amazing wedding DVD. You captured the day perfectly, it was like having our wedding all over again. You created a perfect memory for us! Just wanted to message you on our 1 year anniversary, after watching our wedding DVD again. Dont think I ever managed to message you with our heartfelt thanks on capturing our special day. It’s amazing to sit here a full 12months on and watch our DVD of our super day. You did a truly amazing job at capturing our day and I’ve been in tears again watching it today remembering how fantastic it was. I wish I could it all again and I’d pick you to capture it every time. I’m so glad we got a DVD so we can watch our wedding again and again and even show our children in the future years. Hi Barry, Just want to say a massive thank you for filming our special day. I never wanted a videographer, every time we went to wedding fayre’s I avoided the people with a video recorder like the plague. It was only when my friend who was one of my bridesmaids mentioned you, as she has previously been to a wedding you had recorded. In the nicest possible way, I’m so please we booked you as I never saw you the whole day and completely forgot you were there. From the date we booked you, you were brilliant with all the help and support you gave us. Even when Chris was so nervous the week before, when you came round and helped with all the pointers and tips was fantastic and really put him at ease. When we started to watch the video I was so nervous and didn’t know what to expect. We were sat on edge for the first 5 minutes, after that we relaxed. The way you have filmed and edited the whole film is amazing and there isn’t a single second on the whole DVD’s that we would change. We now have something that we can watch a million times and forever. The only thing I would change is that we should have booked you until the very end of the night. We loved having you at our wedding and just wish we could do it al again tomorrow. Thank you again for everything before, during and after our wedding. “… We knew it would be good but wasn’t prepared for how good…. “Barry, can we just say a massive thank you for our amazing wedding video! Kris and I were made up and we couldn’t believe how good it looked. You’ve certainly captured our day brilliantly! After watching my sister’s amazing wedding video (that you filmed 2 months prior to ours) we couldn’t wait to see ours. We knew it would be good but wasn’t prepared for how good! From the moment we met with you you have given us so much good advice and during the day you helped to keep us calm with lots of support. To be honest, for two people who are normally uncomfortable being filmed, we hardly noticed the camera! We love how you’ve put our song choices to the film. The songs we chose are really special to Kris and I and they were used beautifully! Needless to say you have had us and the family laughing and crying throughout! Thank you once again Barry! “… We would recommend everyone has a wedding film, and more than that we’d recommend booking Diamond Lights to do it!….. Thank you so much for our wonderful wedding film! Right from the initial booking process to receiving the films you were so helpful and thorough, and paid such attention to the details! You really made us feel as though everything was under control and we could relax and enjoy our day. Re-living our wedding day was just amazing and we loved being able to experience the bits of the wedding we missed or had forgotten about. We also loved how you matched our music tracks to the film, totally capturing the atmosphere on the day. The filming on the day was so subtle and in the background, not in anyone’s way, and it was so helpful to have your advice before and on the day, especially supporting the boys with their speeches! Our film was a total mix of emotions and was so cleverly assembled, it really was everything we wanted in a film and more! I plan to watch it over and over to remind me of how wonderful our wedding day was. Thank you so so much, you have given us with such a fantastic way to remember our day, as at the time it goes so quickly! We would recommend everyone has a wedding film, and more than that we’d recommend booking Diamond Lights Wedding Videography to do it! “… We had a budget and a Wedding DVD didn‘t quite make the list of priorities…But this was so wrong, and something I promise – you don’t want to miss out on….. When we were getting married, we didn’t see a DVD of the wedding as essential, more of a ‘nice to have’. We had a budget and a Wedding DVD didn’t quite make the list of priorities. But this was so wrong! Being able to watch back the most momentous and fabulous day of your life is so magical and something I promise, you don’t want to miss out on! Of course, when you do your research, Videographers can cost a small fortune! We were on a budget and my mum found Diamond Lights through an Internet search and she made an enquiry. Little did we know we were about to meet one of the most conscientious, thorough and loveliest guys to film along side us on our wedding day. Barry replied to my mums enquiry with all the information you would want to know, an Sample DVD/ Demonstration Pack was in the post and we arranged to meet. He came to visit us. No obligations! As soon as we met Barry we knew we not only wanted him to film our wedding but we were actually glad that he would be coming! He was so lovely! Barry listened to what we had to say and offered advice were it was needed. He talked through how his services would work in a very pragmatic way from start to finish. We knew exactly how it would all happen. He promised us we would have no idea he was there on the day. He answered a lot of questions we had that was actually nothing to do with filming! On the day, Barry was literally perfect! He worked well with the venue and the photographer – he synchronized it all. It was seamless and we didn’t even know it, just like he said. When everything ended up running later than planned, Barry didn’t leave until he had everything for the DVD. Nothing was too much trouble for him and he stayed much longer than we expected. We knew the DVD was going to be great as we trusted Barry and felt he would do a good job. When we received the DVD it was everything and more! Barry had captured the spirit and atmosphere of our day. Everyone featured on the DVD – it was all so natural. And he even added an extra special ending to the DVD which I know he went completely out of his way to do especially for us. You miss so much of your wedding but the DVD gives you the opportunity to catch up on the things you missed! We highly recommend Diamond Lights and if we ever needed a videographer again, I would not hesitate to contact Barry. Diamond lights are well priced, skilled and professional, efficient, will cater to your needs and will do everything with a smile and a friendly manner. There’s no pressure or expectations – it’s all about you! Most of all, your feelings and thoughts are brought back to life as you watch your special day which has been expertly encapsulated. “… The film of our big day… blew us away! …. just faultless…..
Where to begin… Absolutely everything Barry has done for us was way above and beyond any of our expectations. From our initial emails, Barry put my mind at ease (a difficult achievement just before my wedding). Nothing was a problem whatsoever, changing our songs etc. He didn’t just go through the formalities like we expected, it was like we were the only people he had to deal with and he grasped really quickly the type of filming we had in mind. He’s clearly a people person and a great judge of character. What I didn’t expect was a lot of tips and advice from him that proved invaluable on the day… he knows his stuff and we took everything he said on board. The film of our big day… just blew us away! Tears and laughter and the most special moments captured for us to watch over and over… and I have! I loved how the footage of the day was so natural which is exactly how we wanted it to be. Again, the DVD was just so much more than we expected, just fantastic. What we noticed from our film is the time and effort Barry puts in to your day. From starting at the church right through to the Afternoon and Evening Receptions. Throughout the day Barry had the perfect balance of being a total professional and having a laugh and a joke in between, and never intrusive. Also, before he left he made it to the photo booth. It won’t be the last we see of you Barry hopefully we can later persuade you to film christenings etc. If you’re looking around for a videographer for your special day, not to sound cheesy, but seriously look no further than Diamond Lights, trust me when I say I’m particularly picky, and can find a fault in anything but hand on heart… just faultless. Thank you so so much for everything Barry, and good luck in your continued success – truly deserved! “… it‘s like watching our own love story. I can’t stop showing our film to people ……..
We’ve really struggled to write a review on our wedding film, words fail us. Both of us have watched our film countless times, finding new things every time we watch. Little things that we forgot about or didn’t even know had happened brings all the magic of the day back to us. All the way through the film we asked each other “did you know he was filming there?” And the answer every time was “no”. You promised that nothing would be set up or staged and that we would feel comfortable, and that’s exactly how we felt. We knew that having our wedding filmed would be important, however, we didn’t know how important, and for that we can’t thank you enough. Anyone that I know thats getting married, I always say two things to them. 2. Get Barry from Diamond Lights to do it. All the music we picked fits perfectly to every part of the film, it’s like watching our own love story. I can’t stop showing our film to people when they come round. Family and friends that have seen it can’t believe how amazing it is and have said its the best wedding film they have seen. Every time I watch it, it brings happy tears and I makes me want to do it all over again. Barry, we can’t speak any higher of you, you’re very friendly and very professional, and are very good at keeping a bride calm on her big day. You’ve given us something that will last a lifetime, and something that we will treasure forever. And for that we can’t thank you enough. “…breathtaking, amazing, perfect and magical……..
I’ve dreamed of my wedding day since being a little girl and knew it would be a very special occasion. Your wedding day is the most amazing magical day you will ever experience and we didn’t think it was possible to add anything more special to it. However we certainly did that when we decided to have our wedding day filmed with Diamond Lights Wedding Videography. Barry was so professional and his work is incredible. The main words that comes to mind when describing Barry’s work are, breathtaking, amazing, perfect and magical. We first met Barry when he came to see us just before our wedding rehearsal. He made my very nervous future husband feel more relaxed about being filmed. He went through the day in great detail and made sure so we had nothing to worry about. On our wedding day we hardly knew Barry was there. None of our guests felt uncomfortable, in fact most of them didn’t even know they were being filmed. It certainly was unobtrusive filming. During the day we had many laughs with Barry and he felt more like our friend. Matt’s dad couldn’t be with us in person but was with us in spirit and the way you incorporated him into our film during the speeches was very touching. We was all in tears. Watching our film was a very emotional experience, we laughed, we cried and laughed some more. The way you chose the music for certain parts of the film was perfect and really told our story. You captured our perfect day beautifully and will treasure it forever. We are truly grateful for all you hard work and have something special to keep and continue watching for many happy, married years together. “…we are eternally grateful! Thank you! We absolutely LOVE it.., it’s everything we wanted and more! When I was younger, I remember how me and my sisters used to love watching our parent’s wedding video; to look at Mum’s puffy 80’s dress, to laugh at how nervous (and young- with lots more hair!) our Dad looked and to almost be part of their day, despite the fact the three of us were all twinkles in their eyes! Therefore, when preparing for our own wedding, it becomes something of an expense and it does in a way get put to the side for a while. I can’t emphasise enough how priceless it is, it is worth everything to capture those memories forever! Myself and Barrie were ecstatic to receive a voucher for our own wedding video from my parents last Christmas- we really can’t thank them enough for choosing Diamond Lights as this didn’t turn out to just be a wedding video! I contacted Barry Hewitt after receiving our voucher to talk about the video and what package we would like. Barry did not only discuss options for footage, but was also genuinely interested in what we wanted our wedding to be like, what church it was in, what theme we had, what we were like- not only just for the video, but to reassure and help plan our day. As a matter of fact, he became our mentor! He was always organised, keeping us updated and on track to help him craft our wedding memories. By choosing our own music prior to the wedding, meant that our video was very personal to us and Barry was outstanding in the fact he spoke to and collaborated with our photographers, priest, musicians and parents to ensure non-intrusive filming and smooth transitions throughout the day. He even made sure he met us prior to the day to discuss and confirm how everything would happen on the day, which was amazing as we were both relaxed knowing he knew the full itinerary prior to the event. On the day itself, Barry made us feel at ease, especially when dealing with last minute changes and blips on the day, such as the giant puppets coming to Liverpool! I cannot thank him enough for his ability to ensure we did not worry or panic, but enjoyed and savoured our special day! I probably wouldn’t admit this to Barry himself, but when I received the follow up emails regarding when our film was finally complete, I got up extra early to make sure I caught the postman so that I could watch it straight away (and tell the postman all about it because I was that excited). Of course, I cried at how beautiful the DVD itself looked before even watching it but there was so much thought and care taken in to how it was so beautifully presented, we couldn’t have asked for more. My husband on the other hand, (although he wouldn’t admit it) was emotional when he saw me arrive and walk down the aisle, something he didn’t see on the day as the priest told him to face the front! We can honestly say, we don’t remember really being filmed! I know it sounds daft, but Barry definitely had chameleon qualities, he managed to capture natural footage and everybody kind of forgot he was there, but that made our film all the more beautiful. There are parts of the day and evening that we didn’t see – our guests enjoying themselves and welcoming each other or catching their daft dance moves; capturing moments of the day we were unaware of! We can honestly say it was surreal watching ourselves on TV, we are invited into our day again, like we are the stars! The transitions and musical score have been so harmoniously created, professional video it exceeds! Barry even included personal jokes we had with himself, such as how there were three Barry/Barrie’s; making it all the more personal. We have had lots of laughs and happy tears so far from watching the most important day of our lives, something which I hope our children can watch and inadvertently be a part of in the future, like I did, and we cannot thank Barry enough for that. Barry wasn’t just the videographer, but he became our adviser, friend and honorary guest (making him Barry number one!) and we are eternally grateful! Thank you! We absolutely LOVE it and it’s everything we wanted and more!